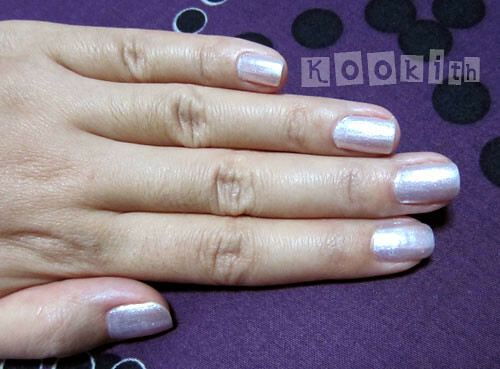 A metallic polish from Zoya’s Ooh-La-La collection. 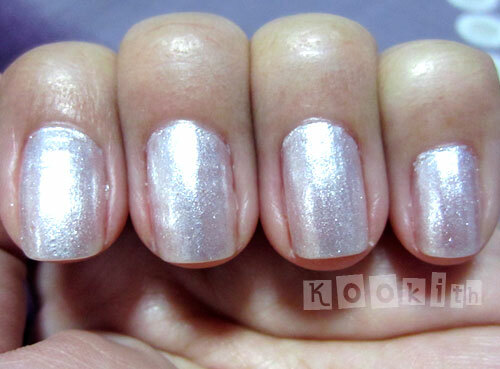 Soft, silvery white glitter flakes against a sheer winter white base. A clean shimmering white that’s universally flattering. Not only are Zoya polishes vegan, but they are also 4-free, meaning they do not contain the toxins formaldehyde, toluene, dibutyl phthalate and camphor. Elegant and beautiful, I personally think this is one Zoya’s hidden gems. 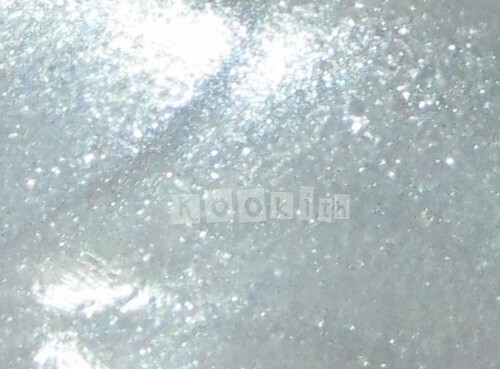 While many pearl white polishes apply sheer and streaky, and tend to lean towards silver or gold, Ginessa is a true white which has adequate coverage in just 2 coats. It dries to a shiny finish, so there is no need for a top coat if you’re lazy like me. The polish is packed with little silvery sparkles which are extremely fine, and the effect is stunningly pretty when the flecks catch the light. It is understated and subtle, yet intense and eye-catching. I have reviewed Zoya polishes many times already, so I won’t bother to describe the formula – Zoya polishes are pretty much perfect. 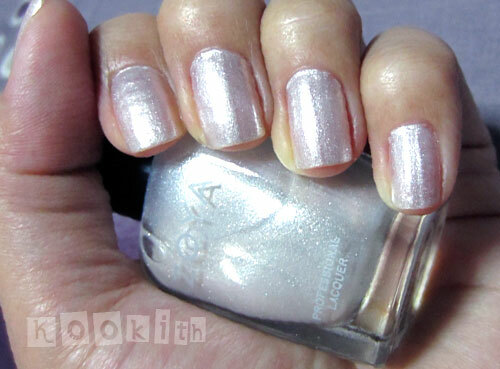 The texture seems quite different to the other Zoya polishes – this might sound weird but it’s light and fluffy! It kinda reminds me of clouds or whipped cream. Application-wise, Ginessa is very forgiving and would be good practice for nail polish novices. While Ginessa looks good on its own, I find it is fantastic as a base for layering other polishes over it. Fine shimmer, coarse glitter, multi-coloured sparkles, holographic flakes… you name it! I haven’t tried a crackle polish over it though… I wonder how it’ll turn out? This is without a doubt, one of my favourite Zoya polishes! Disclosure: This product was not given to me by the brand for review purposes.